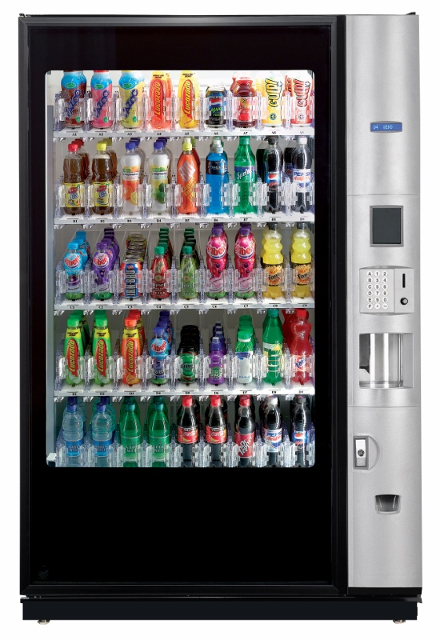 The BevMax4 Media range leads the market with it’s lightning fast dispense speed. Delivering refreshing ice cold drinks to busy places everywhere. 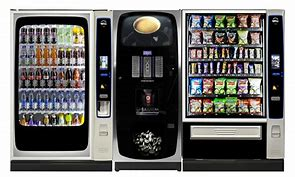 Place the BevMax 4 with snack, food combination and drinks machines from the Crane merchandising Systems range to create a total vending solution tailored to the needs of specific staff/customer preference or location. The machine is also available in 2 model sizes, 35 select (990 mm wide) and 45 select (1181 mm wide), increasing its versatility even further! Visual style to enhance any location is available as standard black/silver-grey door but also be ordered completely black. All machines are available with a choice of Abstract or blue graphics. Bevmax 4 is environmentally friendly and reduces operating costs! LARGE ILLUMINATED 2SHOP WINDOW2 of the BevMax 4 is lit by long-life, low energy LED lighting provides consumers with a clear, unobstructed view of all products available, allowing maximum sales Impact and further enhancing its environmental credentials. A SUSTAINABLE PARTNERSHIP With over 80 years vending experience, strong continuous investment in NPD, and a focus on quality in everything we do, CMS is your long term partner when it comes to providing high quality vending solutions, after sales support and complete peace of mind. DOOR OPENS 90 DEGREES FLUSH – allowing BevMax 4 to be positioned next to a wall or in a bank of machines. SELF-CONTAINED MODULAR REFRIGERATION DECK – offering improved performance. This fridge deck can be removed easily from both the back and front of the machine. TOTAL CONTROL throughout the vend cycle, eliminating the possibility of product tipping from the tray during or after the vend. DELIVERY PORT is vandal resistant, preventing pilfering from the cabinet.